We had a great time at our 7-on-7 football tournament. We won our first four games a combined 152-0 while holding the opposing teams to ZERO first downs. We played a really good Belton team in the finals and lost 18-6. Admittedly, we played our worst game of the night, but it was a really good tournament overall. 7th grade basketball season is officially over! We finished 3rd in our district. This is a good team that I think will get better with time. I put together a video of highlights from the year. Check it out! We had a great time on our family vacation to our nation’s capital! It was fantastic–and there was something for everyone. If you’ve never been, I highly recommend it. You can view some of our photos here. 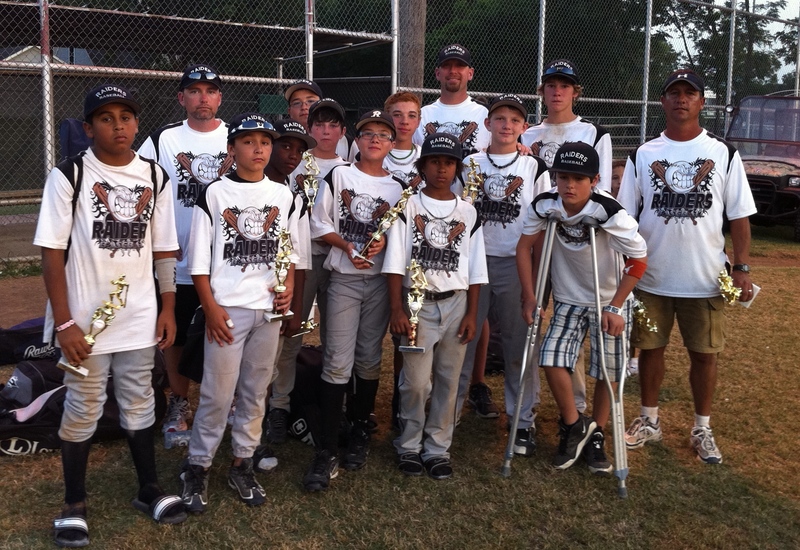 Our 12-and-under select baseball team, The Texas Raiders, finished 2nd in an 8-team tournament in Waxahachie, Texas this past weekend. They beat teams from Forney, Waxahachie and Dallas, before losing a hard fought game to the Keller Aces 11-10 in the finals. They really came together as a team and played well! We won the entire Belton tournament of 16 teams. We won our games by margins of: 21-7, 39-0, 41-0, 39-6 (semis) and 27-16 (finals). We outscored our opponents 167-29 over the five games! Andrew split time at QB and WR as well as safety on defense. I’ve just included some of his throws and catches. The camera battery only lasted about 3 1/2 games. He had probably his best TD reception of the day in the finals, but we do not have video of it. I haven’t posted anything on the blog in a while, so I thought I would link to some of Andrew’s baseball videos. We have played 3 tournaments so far, and his hitting is coming around. As always, you can see these and other videos on my YouTube channel. Just go to: http://mrdctaylor.com. You are currently browsing the archives for the Kids/Family category.